I have the answer....2 new designs hot off the press. 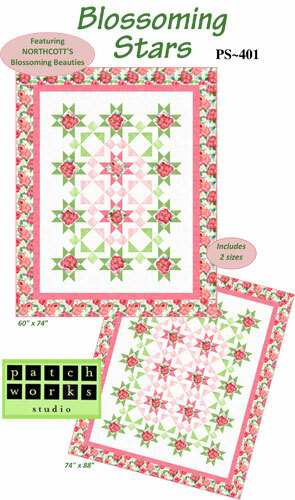 First up is Blossoming Stars using Northcott's Blossoming Beauties collection by Teri Farrell-Gittins. This luscious collection features peonies, in all their full blown glory! The star centres are selectively cut from two peony prints and accents of shades of green and pink add depth to the design. The pattern includes 2 sizes: 60" x 74" (generous lap size) and 74" x 88" (bed size). And remember, you can see which shops purchased this collection by using Northcott's Product Finder (in the upper right corner of Northcott's collection page - at the link above). Read more about the fabric designer, Teri, on her website Shoots and Blooms. The second pattern uses the Paris...Always A Good Idea! collection is also from Northcott. These fabrics are also available in quilt stores now. 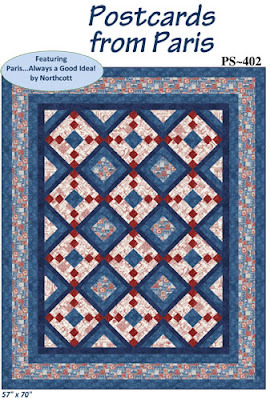 My pattern, Postcards from Paris, features a distinctly French palette of Red, Blue and Cream to Featuring toiles with Paris landmarks, bicycles and postage stamps – your quilt will appeal to any traveller. 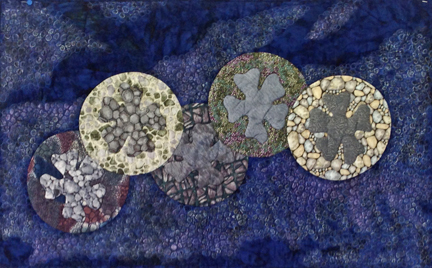 This quilt is 57" x 70". Learn some nifty ways to use directional prints in this pattern. Order the pattern here. 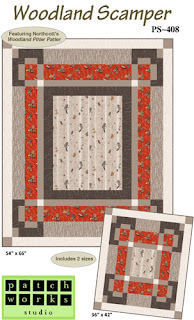 You will also see the fabric requirements for this project at this link. I hope you are busy making some new Spring projects! 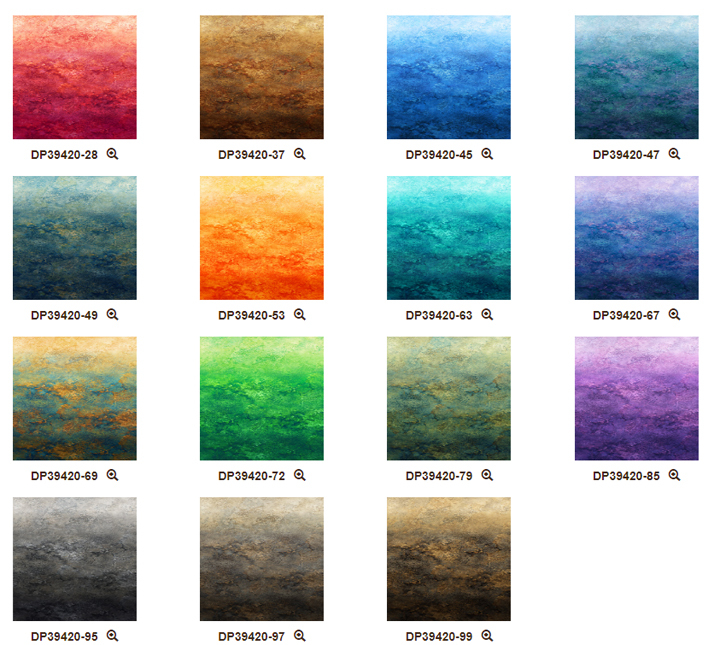 Are you curious about how to use Paintstiks? In each of these pieces I'm sharing today I used Shiva Paintstiks to enhance the piece AFTER it had been quilted. This is the focus of one of the lessons in my online workshop Fun with Paintstiks at the Academy of Quilting. You can learn how to use Paintstiks in YOUR work in my online workshop starting this Friday. with Shiva Paintstiks. I used several colours to get more shading. I used the same technique for this Convergence Quilt. 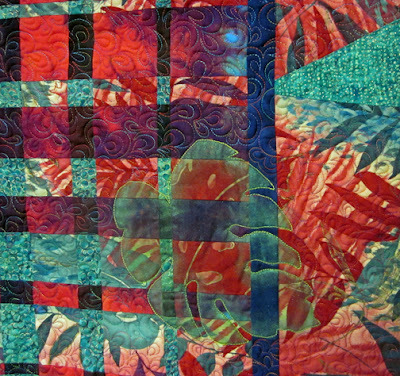 This time I quilted a Monstera Leaf and then painted inside the lines. So many people who see this quilt think I have stitched a sheer fabric onto my quilt. They have to touch it too see that it is the paint that gives the sheer effect to the piece. find images in architecture to use in their work. I painted these areas with Paintstiks to lighten them and draw attention to those areas. These are just a few of the techniques you will learn in my online workshop. We will start with the basics, including setting up your workspace, the tools you can use and how to get the paint onto your fabric. You will create a sketchbook of ideas that you can refer to over and over again. Hope you'll join me in the classroom on Friday. 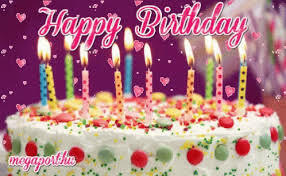 I am celebrating my birthday this week. It's time for a BIRTHDAY SALE! 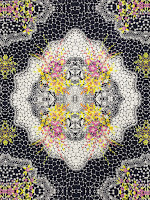 All Patchworks Studio patterns are 30% off. I'll be celebrating for a whole week! Spring IS coming....underneath all that snow! 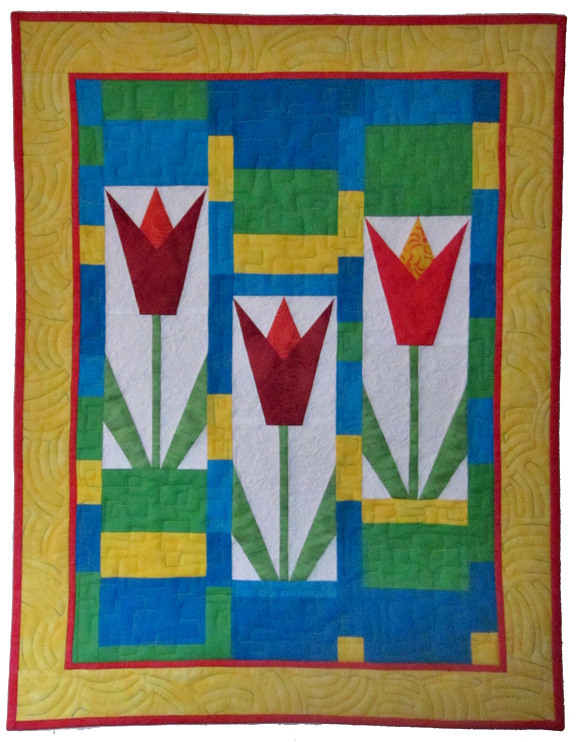 and these Ripless Paper Pieced tulip blocks mean Spring is near too. Students in my workshop at Calico Cupboard learned how to sew perfect blocks without having to tear away (and throw away) the paper. Great job everyone. Cheryl showed her quilt ready for finishing too. Did you miss this workshop? There are 2 ways you can learn my fun and accurate technique. Another Ripless Paper Piece Tulips workshop is scheduled at Calico Cupboard on Friday, March 1st, 10 am - 1 pm. 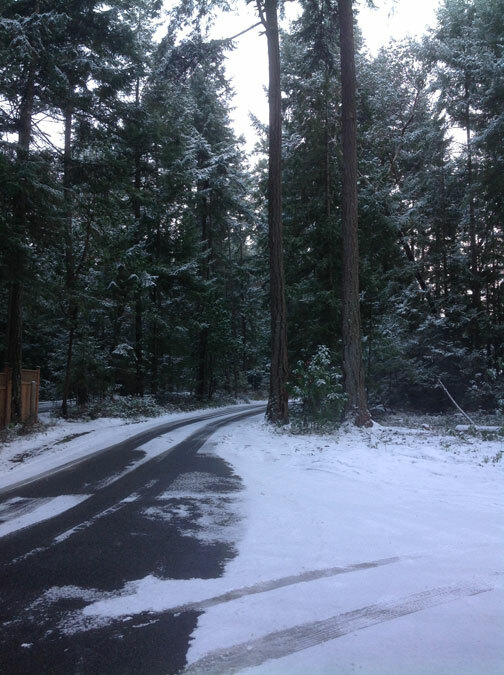 Give the shop a call at 250-658-2722 or stop by to register. .This is an 'on demand' class so you can start any time - and you'll have lifetime access! Can't attend that class? I teach this technique online at the Academy of Quilting.This is an 'on demand' class so you can start any time - and you'll have lifetime access! 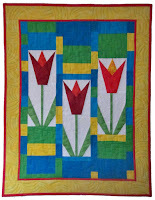 The project is not tulips but you'll learn all about this method that ensure accuracy without the tedious paper removal after you have made your blocks. As a BONUS , this class includes a tutorial about fabric 'value' - no, that's not how much it costs! It is the relative lightness or darkness of your fabrics. This can 'make or break' a quilt. Hope to see you in one of these classes! This quilt is called 'Hearts-a-Plenty' and it is one of my Give & Take Appliqué™ designs. I used a wide variety of pink fabrics and several decorative stitches for the appliqué. Do you use your machine's decorative stitches? Do you only use a few? Why not do some testing to see exactly how they look and try different stitch widths and stitch lengths. You'll be amazed at the wide range of looks you can get. 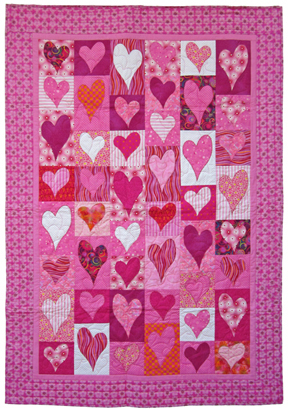 The hearts for this quilt were drawn using a 'tracing stencil'. For every heart I traced on fusible web I had 2 shapes for 2 blocks. Give & Take Appliqué™ is the ultimate 2 for 1 fusing technique! Hearts aren't just for Valentine's Day. It is a perfect motif that says 'I Love You' at any time of year! Take advantage of my Special Offer where you can get my tracing stencil PLUS the pattern. 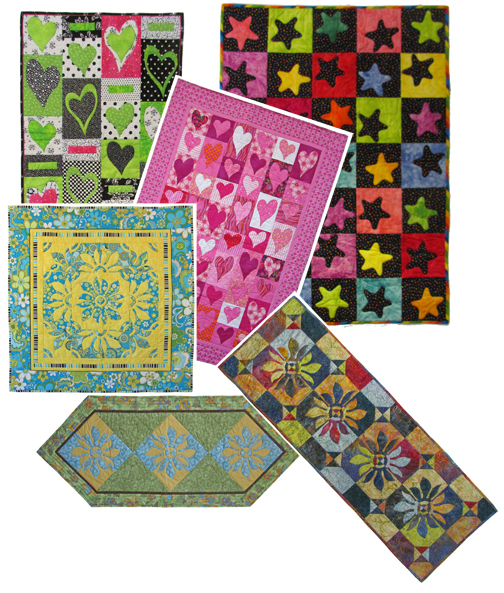 BONUS: The Stencil Set includes additional designs for quilts like these ones. The regular price for the stencil set with 5 exclusive patterns is $22.95 (CDN). The One-Day Sale Price is $17.95 (CDN) (plus shipping, taxes where applicable). Get your Stencil Set and Patterns here. Made these 2 blocks yesterday so now I am caught up. 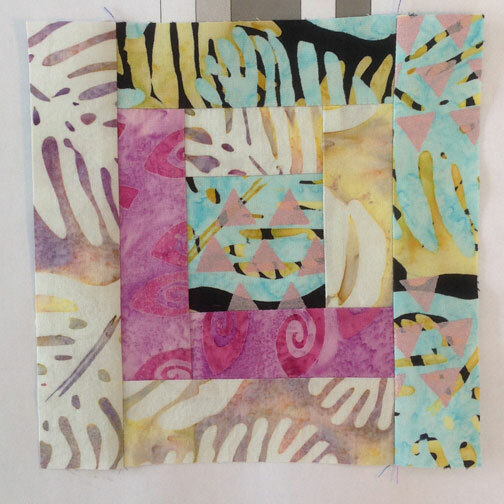 Great fun to use my upcoming Banyan Batiks fabric collection called Tapa Cloth. Over the next few months I will be designing new projects using my fabrics. Sales reps will begin taking orders from shops in April and the fabrics will be in quilt shops next January! 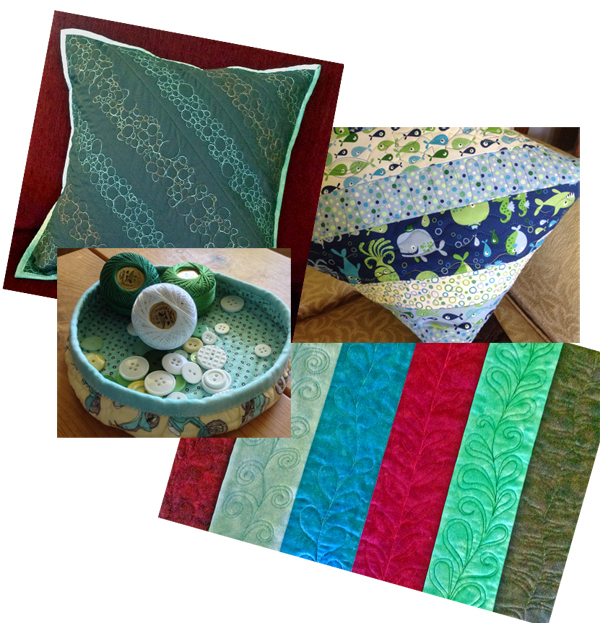 The big launch will be at International Quilt Market in Kansas City in May and I've made a couple of projects so far. Watch this space to see what I've been making! I was away last week on a sales trip. 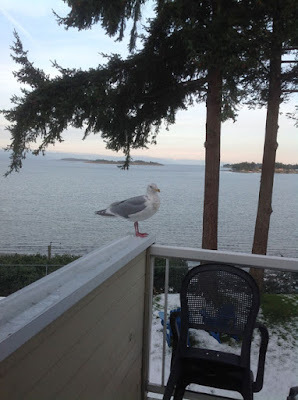 I stayed at Madrona Beach Resort in Parksville. I woke early one morning to see the sunrise. 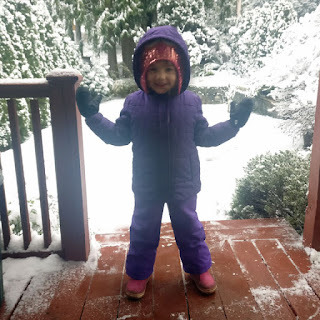 And this fellow came for a visit just after the snow started to fall. On Friday when I headed home, the trees along the driveway were starting to get their blanket of snow. But that was just the beginning! We now have an 18" blanket of white on our front yard. 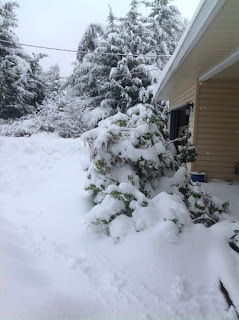 Our trees a bushes look like they are covered with marshmallow sauce and there may be more on the way! 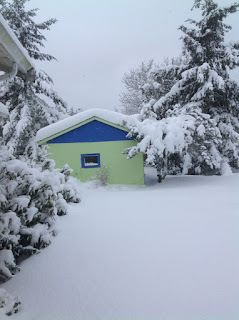 A good day to stay inside and sew. I've been chatting to students in a couple of recent classes about how a Design Wall is an important tool for quilters. Placing your quilt blocks or units on a wall so you can see them vertically helps you really see what's going on with your project. It will be easier to spot any errors in your patchwork. You know those ones that you find AFTER the quilt is finished! You can arrange the blocks and photograph the layout. And then try other arrangements and photograph the results to see if one is more pleasing than the others. I am very lucky to have a large floor to ceiling design wall that is 12 feet wide. But you don't have to have a space this large. Check out the information in this helpful blog post from The Quilting Company and make it a priority to make yourself a Design Wall. Have you seen the 'daily', 'weekly' and 'monthly' quilt block projects popping up all over Social Media? I have too and I've thought about joining in but none of the ones I've seen are just right for me. Some were too long (daily), too far apart (monthly - I might forget) but I have found one that is just right! You know the story of Goldilocks, right. The porridge was too hot or too cold or just right. 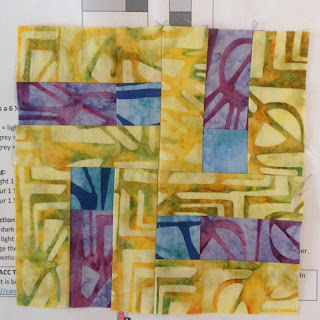 The 52 Blocks in 52 Weeks Block Party presented by the Canadian Quilters' Association is just right for my schedule and it comes at the perfect time too. I can make the weekly blocks using my upcoming Banyan Batiks fabric collection called Tapa Cloth and share a sneak peek. The fabric will be arriving in quilt shops right after the 52 weeks! There is a Facebook group for those participating called 52 Blocks 52 Weeks if you want to join that and share your blocks and see what others are creating. Use the hashtag #52blocks52weeks in all your Social Media and it will be easy to find other quilters making the blocks - and they are all over the world! It's like one big Quilt-a-Thon and a lot of fun seeing what fabrics everyone is using. Sound like this would be a fun project for you too? It is not too late to start. You don't need to register or anything. Just go to the main page and get the weekly block pattern. If you join the Facebook Group you will get a reminder to keep you on track. Just search Facebook for 52 Blocks 52 Weeks and click Join. I finished the quilting, binding, label and sleeve over the weekend and wanted to share the final quilt with you. 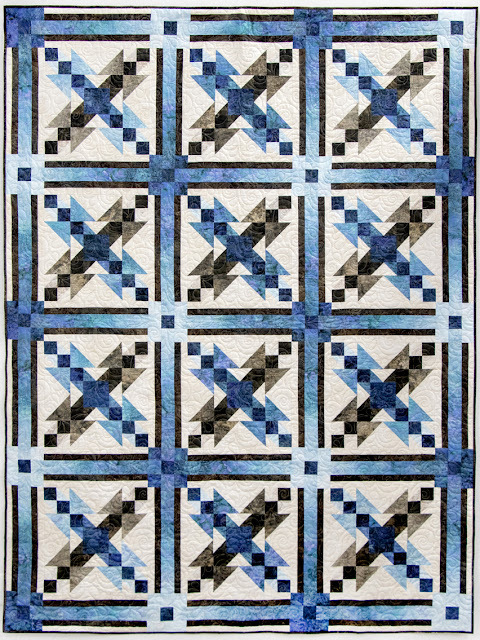 This quilt uses 2 of Northcott's Stonehenge Gradations Ombre fabrics - Midnight (#47) and Slate (#97) to provide the range of values for the quilt. There are other colour options in this collection so you can choose your 2 favourites and make this quilt. 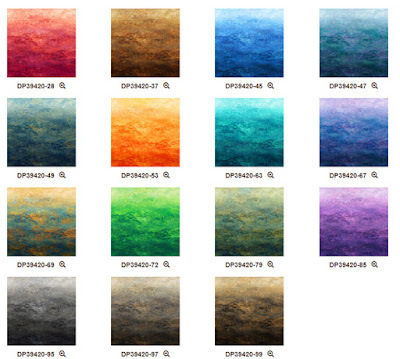 Read more information about how versatile Ombré fabrics can be in this post. 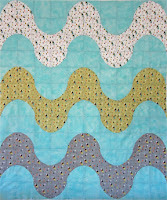 And if you'd like to make this quilt you can buy the pattern in the Patchworks Studio Store. 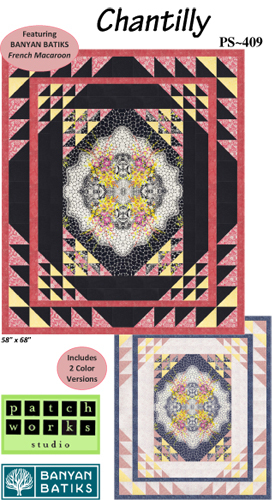 Fabrics for both these patterns have recently arrived in your local quilt shops. First up is Woodland Scamper using Woodland Pitter Patter by Northcott. Toddler Quilt – 54" x 66"
Baby Quilt – 36" x 42"
Several of the fabrics are 'directional' and this pattern includes detailed instructions about how to work with these fabrics. 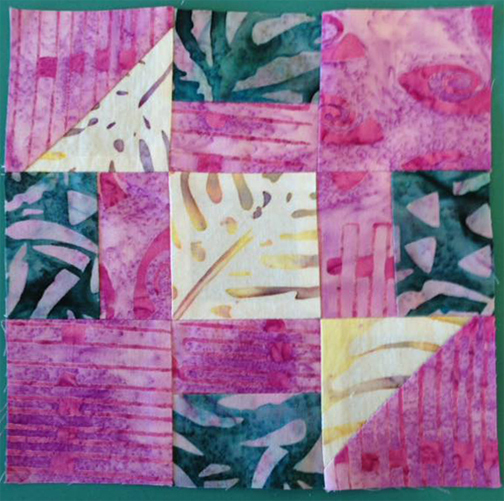 The next pattern uses a Banyan Batik panel. 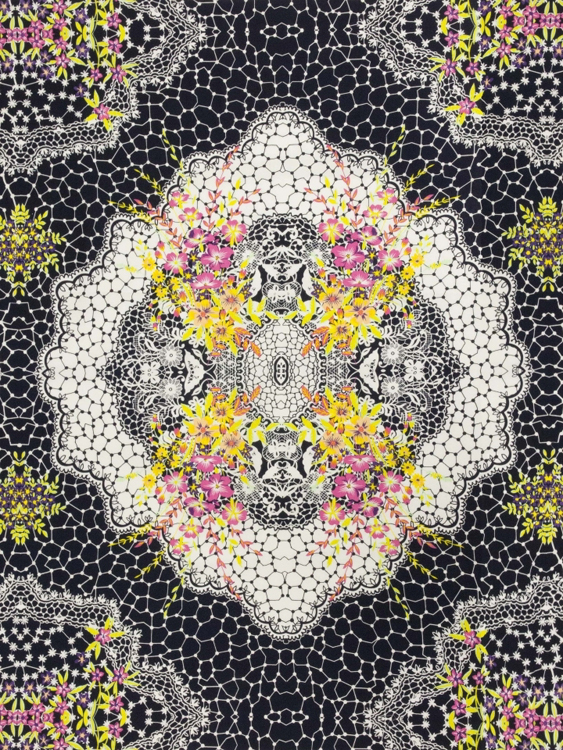 Yes...this is a batik panel! 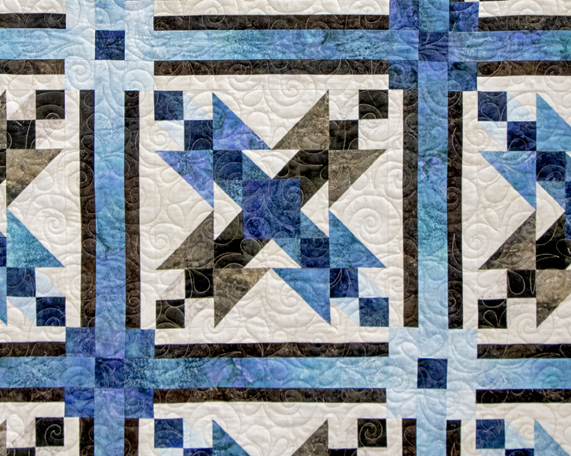 I wanted to showcase the centre section of the panel in my design but also wanted to use the corner sections in the same quilt. I developed a way to cut the panel and still use the corners for the smaller Half Square Triangles. I continued the Half Square Triangle theme for the border of the quilt too. Quilt size: 58" x 68"
Fabrics are French Macaroon from Banyan Batiks. Both these patterns can be ordered from the Patchworks Studio Store. 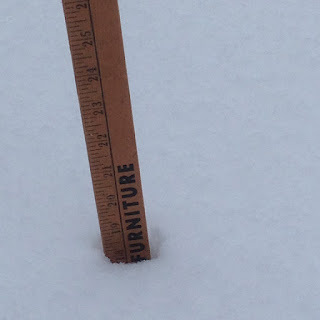 I posted this picture on Facebook last week..........and several people asked me what it was. I was machine sewing the binding on my Gradation Crossing quilt. I sew binding to the back of the quilt and turn it to the front and stitch it down. I use the Hold It Precision Stiletto to keep the binding in place as I sew. A Press Perfect tool by Joan Hawley. Hold while sewing or pressing. - Grippy tip for holding fabric. - Angled tip for good reach and visibility. I use the silicone tip to hold binding in place when machine sewing. 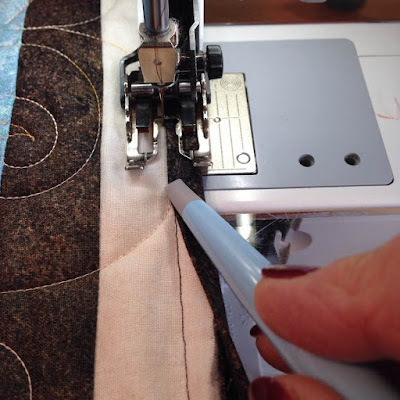 The other end is great to use when piecing, particularly when you need to keep bulky seems flat as you sew. And now you can buy on in my online store here. Want to learn something new, upgrade your skills? 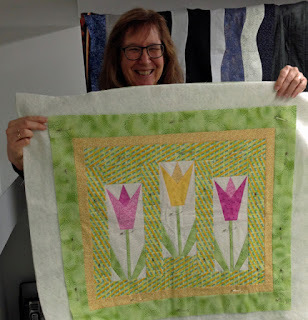 My workshop schedule for Spring 2019 at Calico Cupboard Quilt Shop has been finalized. 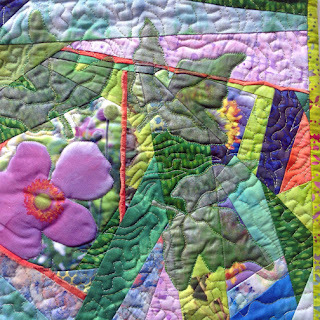 One of my most popular workshops, Beginner Free Motion Quilting, is on the schedule with a range of dates. Do you have a love/hate relationship with paper foundation piecing? 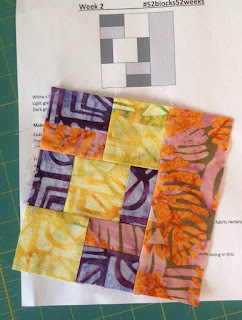 Why not try my 'Ripless Paper Piecing' method. I guarantee you'll love this 'no waste' technique. 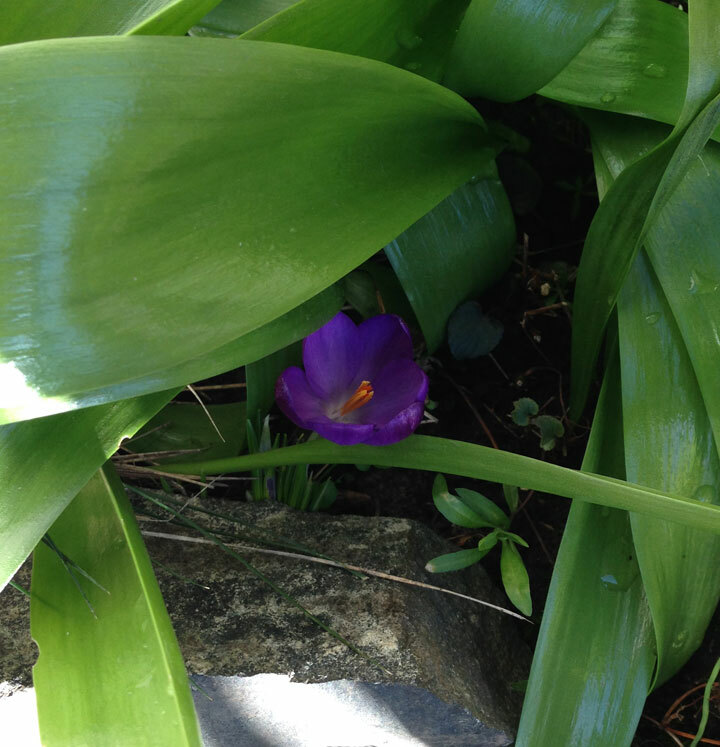 And who doesn't love Spring Tulips? Want to learn more about how to use the Quick Curve Mini Ruler? We made Fall Pumpkins last year and this time it is Ric Rac - we'll make a different type of curve in this workshop. Make your quilt any size - mine is a baby quilt. And what if you don't want to use a ruler to cut and sew curves. How about learning my fun method for Improv Curves. I've taught this class all over North America and students loved how easy it is and the range of projects they could make. Be sure to check out a few pictures of previous classes. 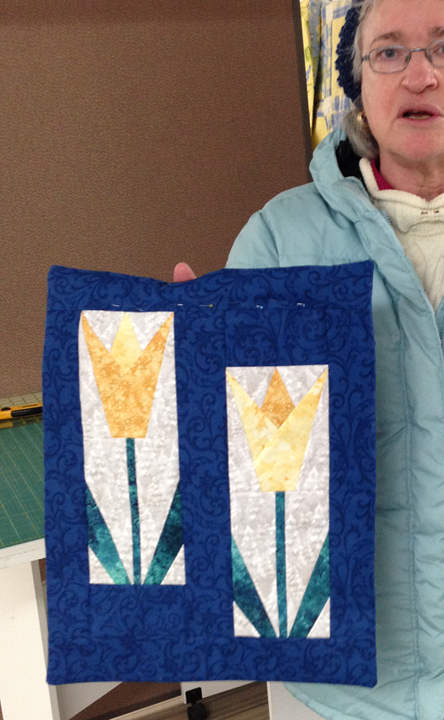 And who doesn't love the wonderful panels that are available in our quilt shops? Want to learn some innovative ways to use them? 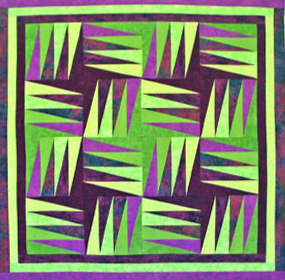 Checkout the Panel Play Day, bring your panel(s) and we'll develop some unique quilts! I have created a mini-brochure with all the details here. You can drop by the shop to see the samples and register in person, or by phone if you have a MasterCard or Visa. I have been making a rather 'reserved' beginning to 2019. Oh, it's not like I have nothing that needs to be done! I think my week away at the beach in November is still resonating with me! I had such a wonderfully relaxing time and then the Christmas festivities came right after and it makes me think it is still 'holiday time'! 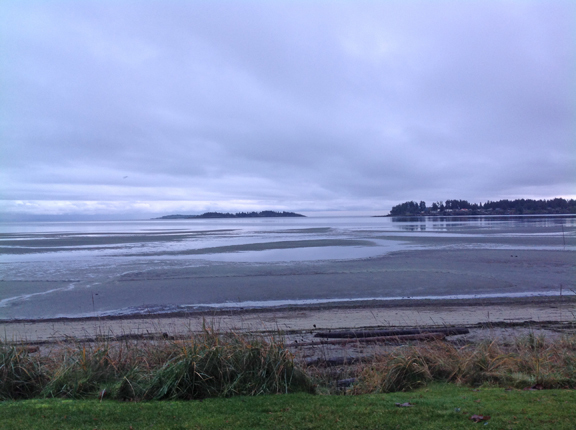 My holiday week was spent at Madrona Beach Resort just south of Parksville. I read several books, watched the ocean tides come in and out, and ate wonderful food. I also sewed - my annual granddaughter pyjamas were made and a pillowcase and crib sheet, and I worked on the Border Quilt QuiltAlong (which is not yet completed....see the first paragraph!). The 2018 PJs - the pants are long...but they'll grow into them! Grampie reading The Night Before Christmas. 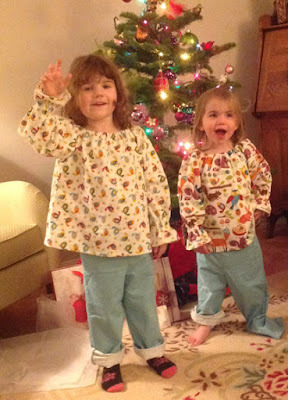 The girls get their PJs on Christmas Eve. cherry bars for her 'baking exchange'. 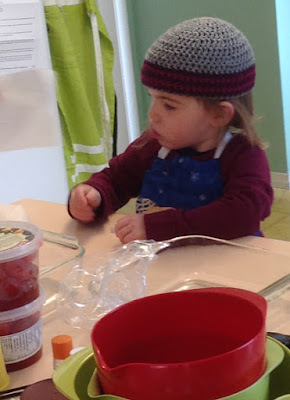 Alice is SO serious about baking! 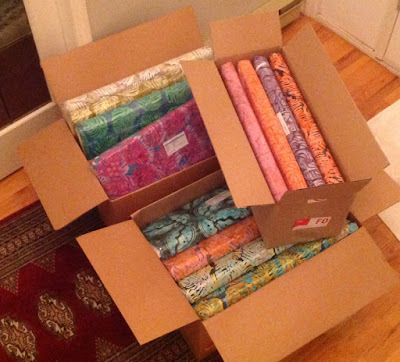 And the best Christmas present of all....I received THREE big boxes from Banyan Batiks! These are the sample bolts of MY fabric - just a sneak peek for you since these will be 'launched' at Spring Quilt Market in Kansas City in May. Over the next few months I will be designing new projects and making items to display in our booth. PS...there is another 'layer' underneath all these - 28 fabrics in total! I think I am finally getting into my normal routine. my First Finish for 2019 is being mailed today - I'll tell you about that one in a week or so. 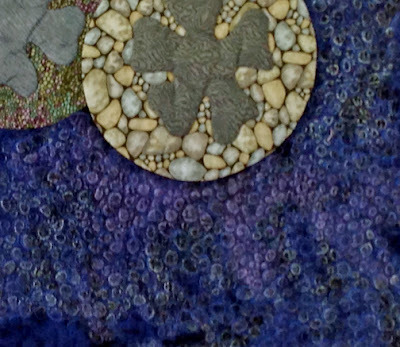 And I must spend a bit of time finishing up The Border QuiltAlong...stay tuned for that. This is the class for you...if you have basic free motion quilting experience and want to improve your skills. I will be teaching this special workshop at Calico Cupboard Quilt Shop here in Victoria. I have taught hundreds of students throughout North America to free motion quilt on their home sewing machine. And my advice to students is always to 'practice, practice, practice'. 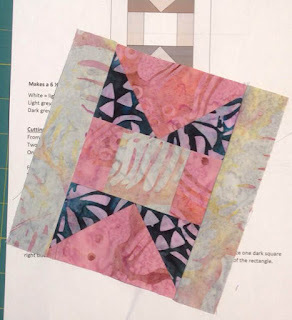 Practicing on small quilt sandwiches takes a huge 'bite' out of your quilting time so I developed a series of classes to give you more practice time. 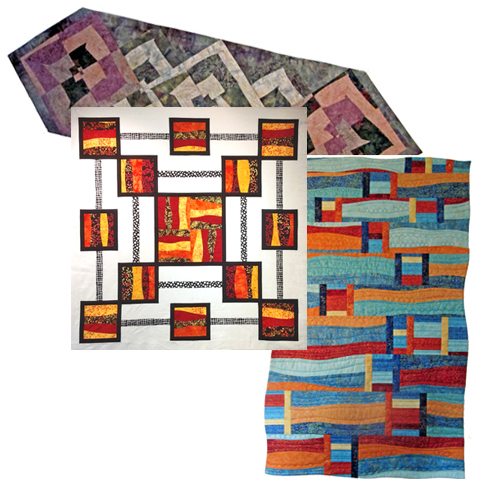 You won't be wasting precious quilting time as you make projects to increase your skills and become more comfortable with free motion quilting. 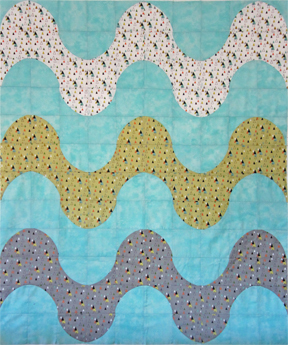 You will have time to try new designs and work toward becoming an expert free motion quilter. 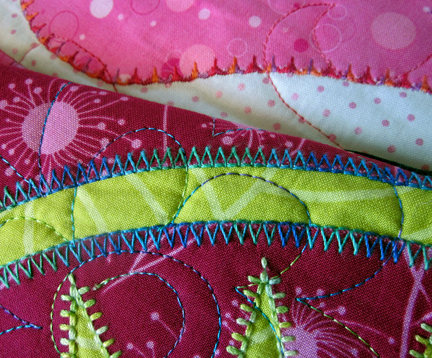 Along the way you will learn some fun basic quilting techniques. 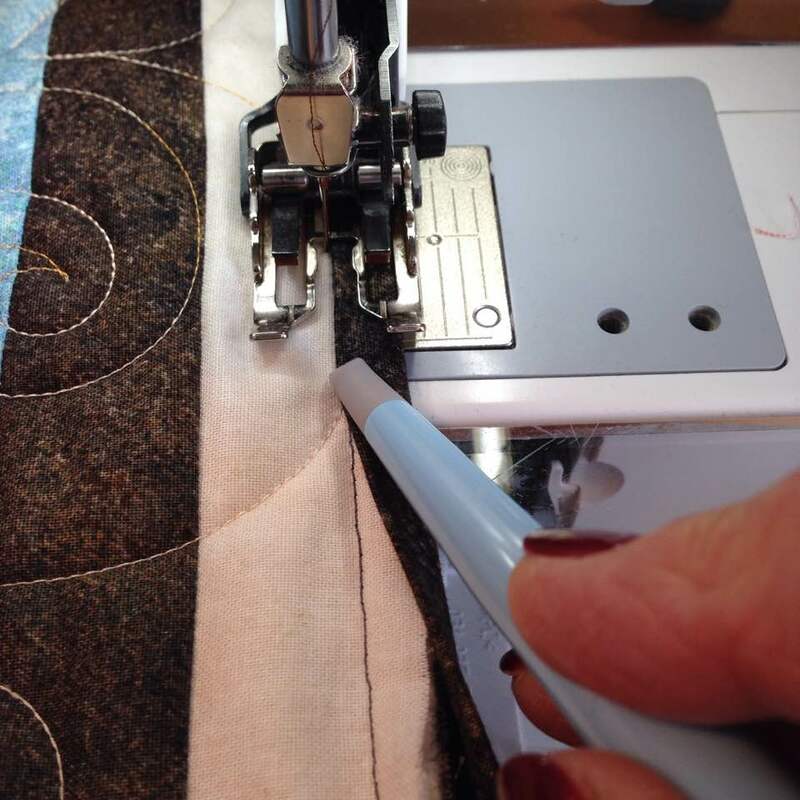 First Steps to free-motion quilting by Christina Cameli. I selected projects that will build your experience as you make 5 projects. The book is required for this series. The supplies and preparation are discussed at the end of each session and you'll have 2 weeks between each class to complete the project and prepare for the next one. The 5 classes are on Saturdays from 10 a.m. to 1 p.m. - January 12 and 26, February 9 and 23 and March 9. The cost is $150 for all 5 classes. There are two payment methods. If you pay $150 all at once, you get a 10% discount. 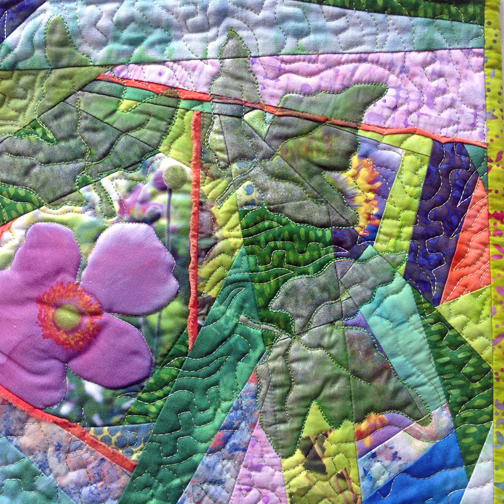 You need basic free motion quilting experience to attend this class. 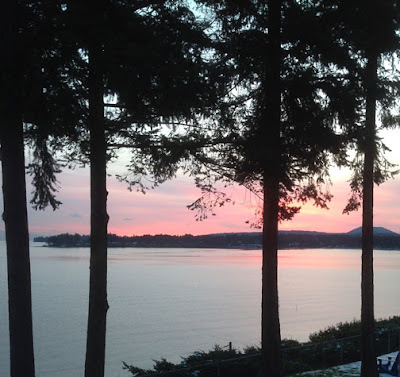 If you have any questions, please call Calico Cupboard - 250-658-2722. Receive a free pattern download for subscribing! 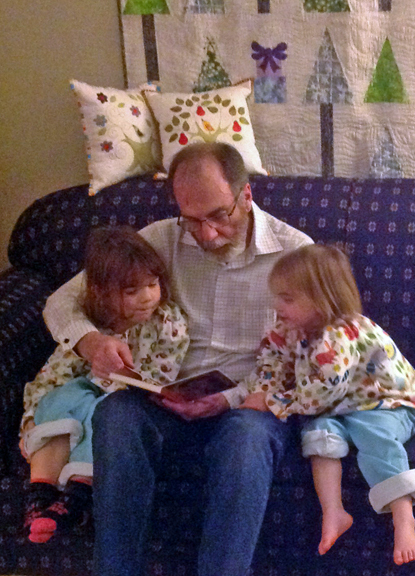 I am a quilt artist, pattern designer, author and teacher. See my artwork on my website: www.daphnegreig.com. My teaching brochure and full biography are also available on my website. See my pattern designs and books here.